At present, my research is focused on the cusp between psychoanalysis, the humanities and the welfare state. Its basic premise is that the problem of what it takes to make a life ‘liveable’ brings to the fore a cluster of relations among psychoanalysis, the humanities and the vicissitudes of the post-war British social state: from its initial commitments to the idea of the ‘full life’ and ‘social security for all’ to the emergence, via the rise of the Thatcherism, of the neoliberal ‘age of austerity’. Working between the humanities and psychosocial studies, one of my aims is to put psychoanalysis to the test of poverty, deprivation and class difference. One of the central interpretative frameworks of modern Western culture, psychoanalysis has a unique, if unsettled, place in the practices of interpretation in the humanities. In particular, there is a widely-held view that psychoanalysis has little, if anything, to say about lives that fail to ‘fit’ its interpretative frameworks (in fact, the relation between psychoanalysis and class has been described as the ‘last taboo’ (L. Layton et. al. Psychoanalysis, Class and Politics 2006)). 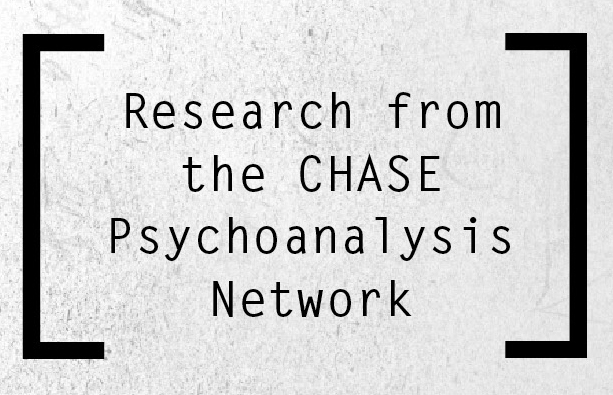 Rarely available via national health services, what can psychoanalysis contribute to the lives and worlds of those who, struggling with the daily distresses of material want, rarely make it on to the couch? In response to such concerns, this research brings psychoanalysis into dialogue with a range of cultural and critical material that, directly or covertly, gives voice to the lived experience of class, poverty and the social state from 1945 to the present. More generally, I am especially interested in the British Independent Tradition and in bridging the apparent divide between the work of Jacques Lacan – so crucial to the development of psychoanalytic film theory – and D.W. Winnicott, one of the most original contributors to psychoanalysis as a theory and a therapy in which the relation between mother and baby comes right to the fore. Whilst his work remains underexplored on the cusp between psychoanalysis and the humanities, Winnicott’s psychoanalysis introduces a vital emphasis on the concept of the environment – a concept whose influence on the development of the British welfare state remains to be thought. The writings of Freud, Winnicott, Andre Green, Jean Laplanche, Serge Leclaire, Michael Eigen, Joyce McDougall and Christopher Bollas are also central to my research, as is the work of Shane Meadows, Lynne Ramsey, Ken Loach, Michael Haneke, Gerhard Richter and Don DeLillo. I also have a keen interest in exploring the uses of psychoanalysis in the medical humanities. For further info on research interests and availability for doctoral and postdoctoral supervision, please see http://www.sussex.ac.uk/profiles/1577/research.